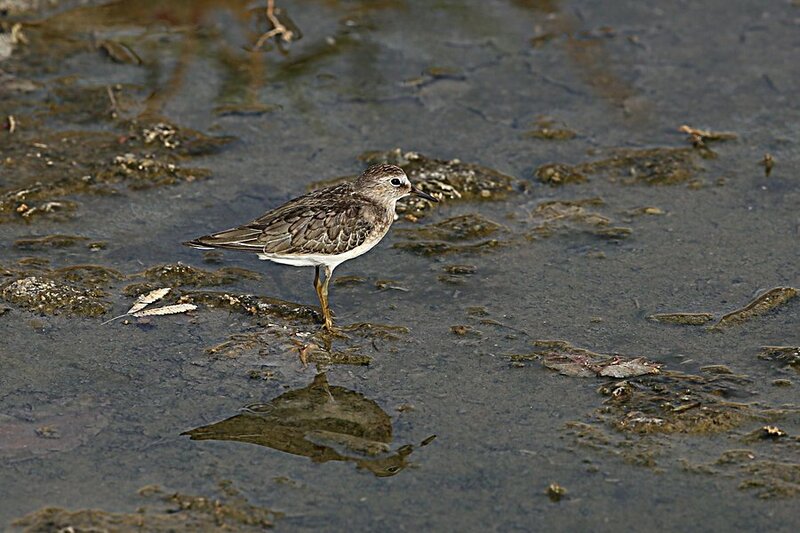 Temminck’s Stint is an uncommon passage migrant and winter visitor to the Eastern Province and is normally seen away from the coast on small wetlands and pools. 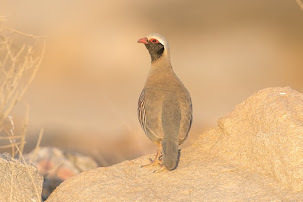 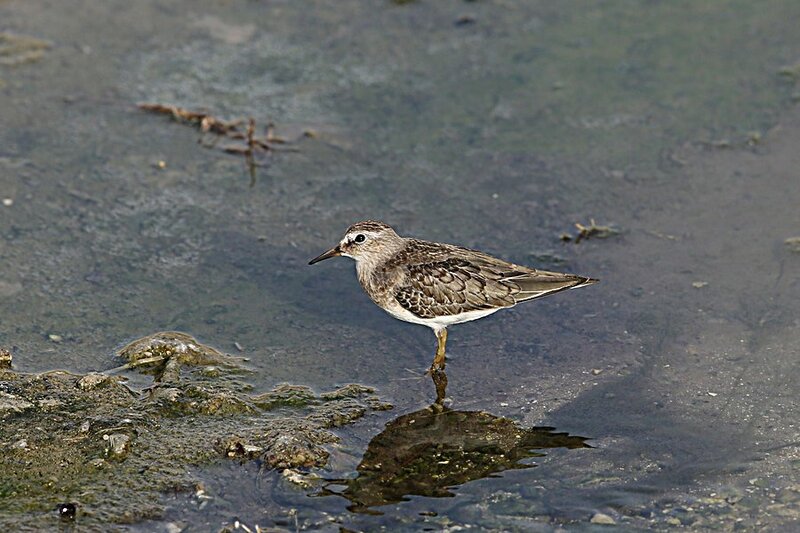 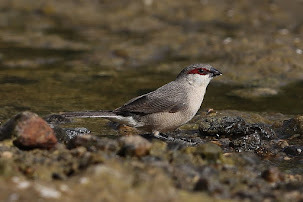 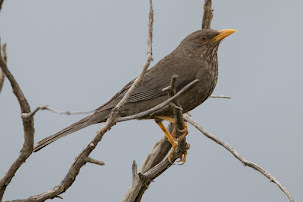 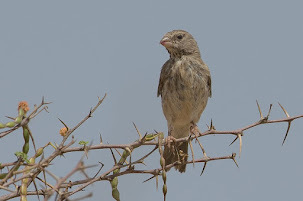 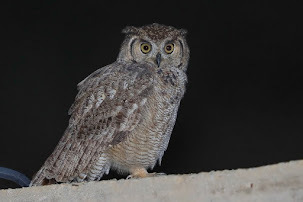 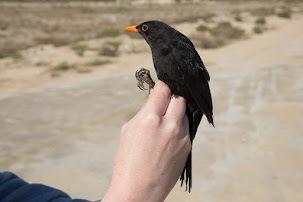 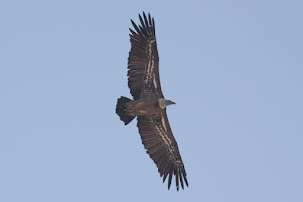 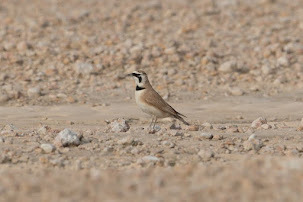 It occurs from April to May and again from September to November on passage but quite a few birds started wintering in the area from 1981 with records from every month at some sites such as Abqaiq lagoons with up to seven birds wintering at the site and Sabkhat Al Fasl where a few birds winter each year with additional birds seen on migration. 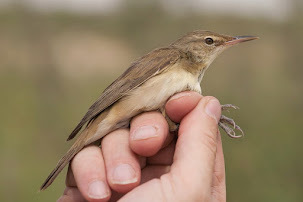 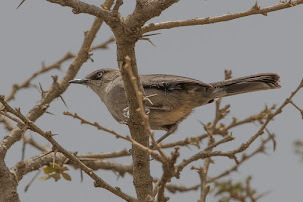 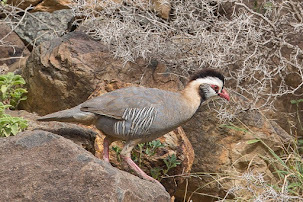 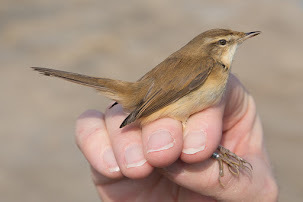 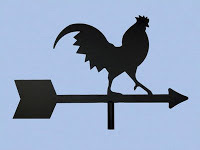 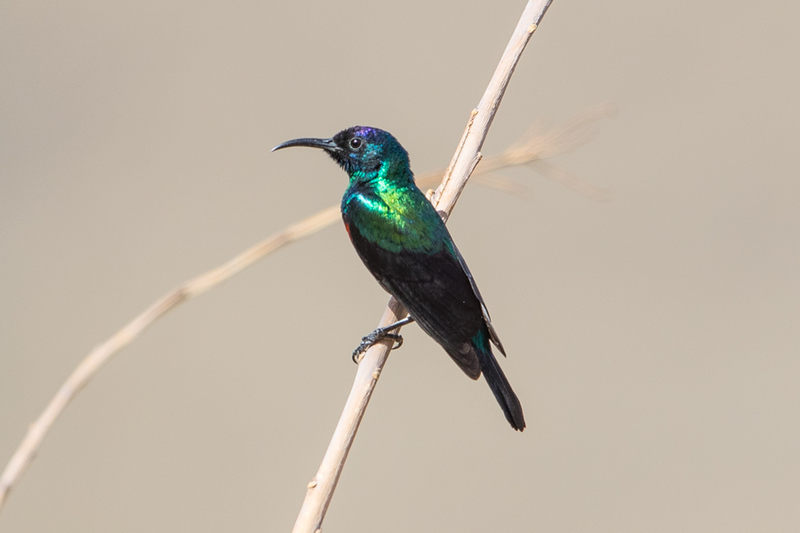 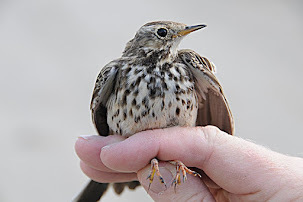 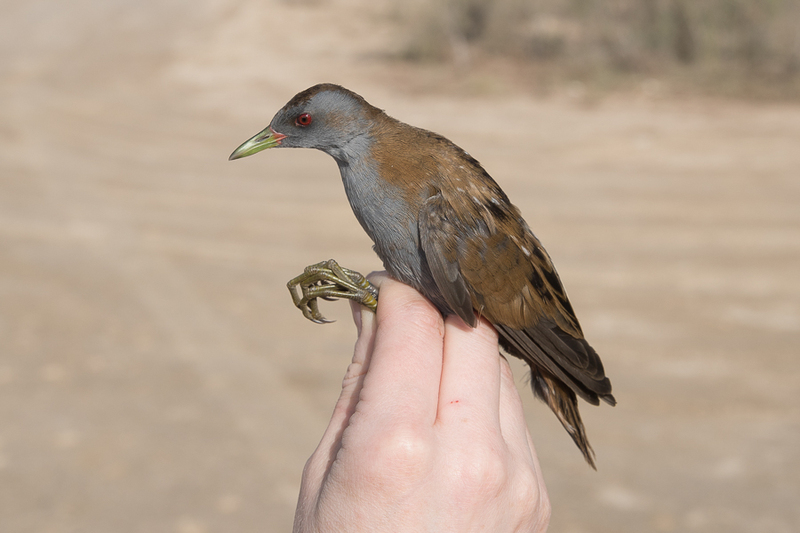 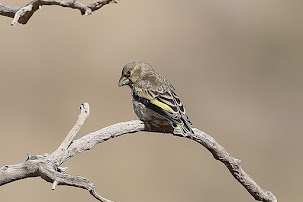 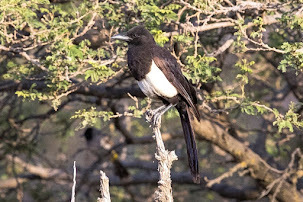 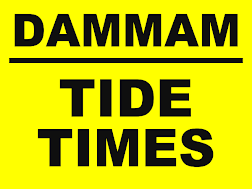 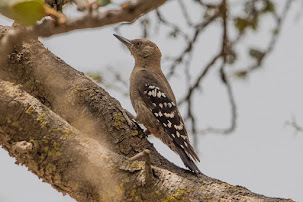 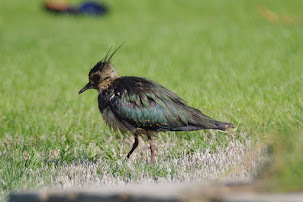 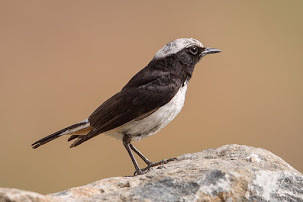 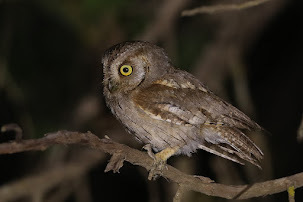 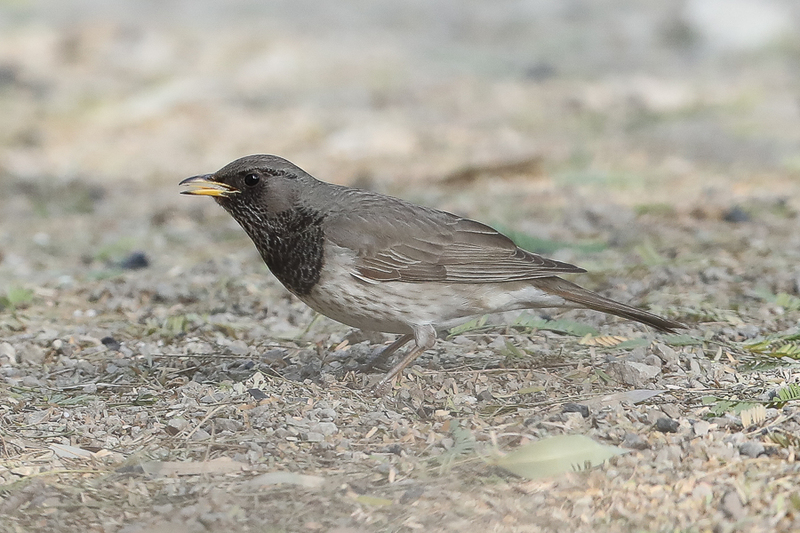 Records from Dhahran Saudi Aramco camp ‘patch’ are also uncommon with records of up to two birds from September until November and a single record of a single bird in January. 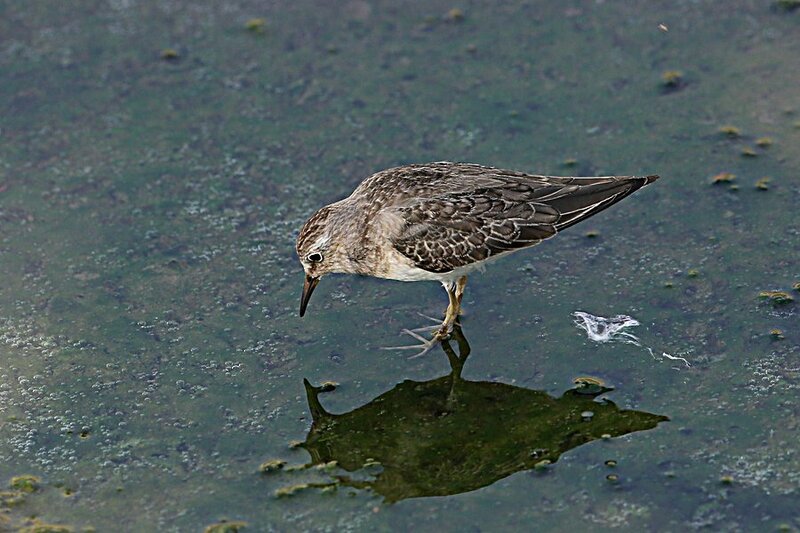 Most of these birds are seen on the percolation pond but the record from 15th September 2012 was from the wet drainage ditch leading to the abandoned spray fields. 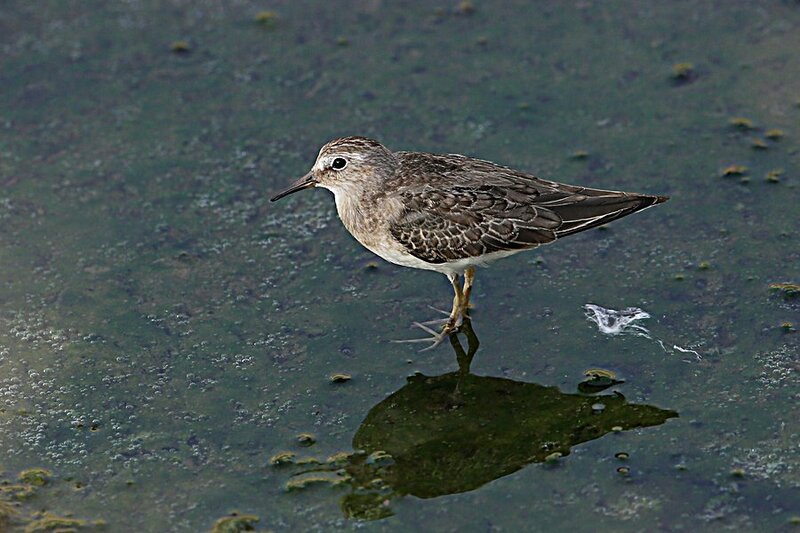 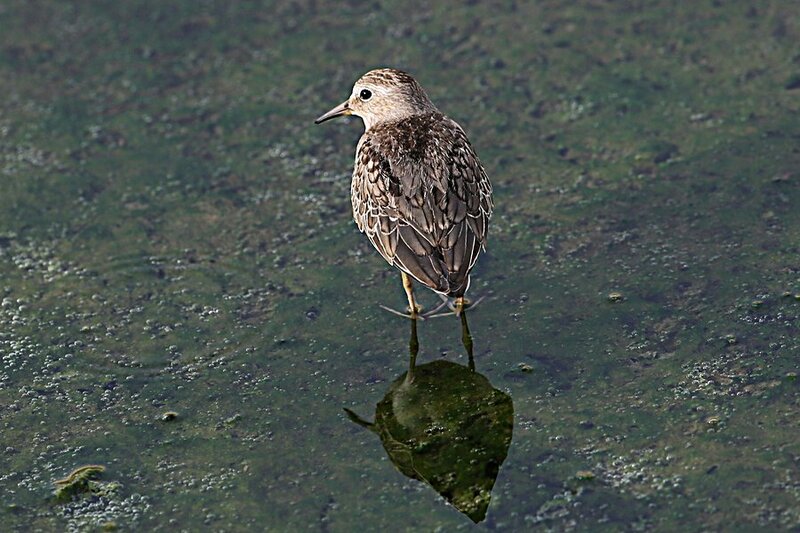 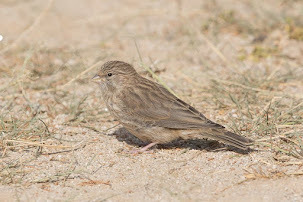 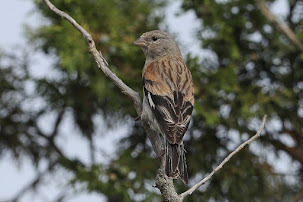 This bird was a juvenile in fresh plumage and allowed very close views and good comparison with a nearby Little Stint. 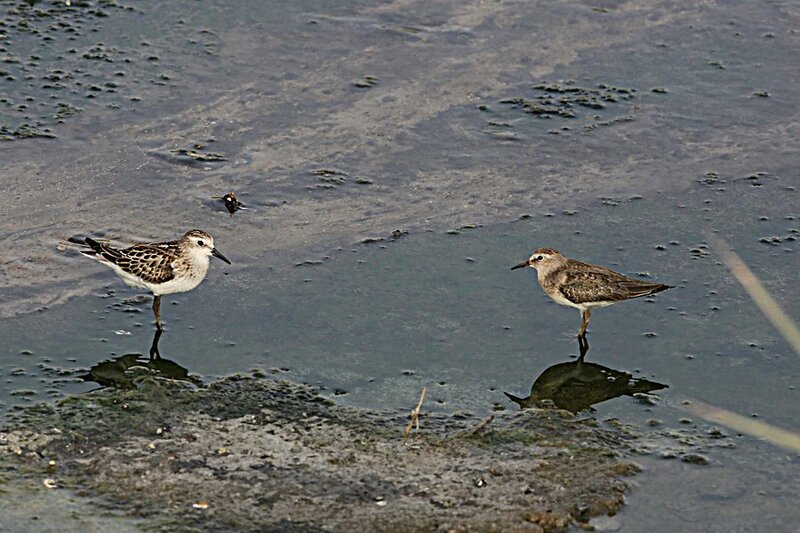 As can be seen from one of the photographs below Temminck’s Stint is slightly smaller than Little Stint, although measurements do overlap.